After years of intensive analysis, Google discovers the key to good teamwork is being nice. Google now describes psychological safety as the most important factor to building a successful team. This Woman Convinced Her 20 Boyfriends to Buy Her 20 iPhone 7s Which She Sold to Buy a House. A former Sec of Justice has convinced 20 high-profile convicts to buy her 5 boyfriends houses of their own. I have completed a list of drinking buddies whom I plan to borrow some moolah from. But this piece of news dissuaded me. I have no excuse of forgetting the fund favor. A patient’s fart during a surgical procedure allegedly sparked a fire which caused her to be seriously burned, the Tokyo Medical University Hospital in Shinjuku Ward said. FVR complains that daily farts from Malacanang has caused burnt bridges with the US EU UN and other long time friends. 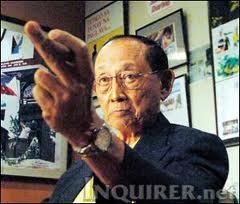 For dishing out controversial comments like “PPP or peke peke peke” FVR resigned as China envoy. MANILA – The Philippine National Police (PNP) on Monday promised an impartial investigation into the alleged gun battle that left Mayor Samsudin Dimaukom of Datu Saudi Ampatuan, Maguindanao and nine of his men dead in North Cotabato. If remiss, Gen. Bato promised the guilty parties prompt pardon by the President. “Masarap magkape keysa ikaw ang pinagkakapehan.” the media darling PNP Chief said. “‘Yung nanalo (Miss Ecuador), peke ang ilong, peke ang baba, peke pa ‘yung… (The winner has a fake nose, fake chin, fake…),” PH Miss Earth bet Imelda Schweighart said, gesturing to her chest area, in a video uploaded by the ChikAmazing Official YouTube channel and shared by the Pageantology Facebook page. Regine Velazquez Kris Aquino and GMA are set to issue separate statements shortly. Senate Majority Leader Vicente “Tito” Sotto III has sought the passage of a measure that would exempt public officials from the imposition of a preventive suspension if the offense charged against them was committed even before their incumbency. By filing this bill for additional right or privilege for the accused of the crime of plunder, some 20 senators and 400 congressmen are set to pass this law without much debate. “Sa susunod i-repeal natin ang Anti-Graft at Forfeiture Laws dahil politically motivated naman yan.” Butch Pichay said in a small talk with Ace Barbers. If a man has two heads, Mocha is blessed with two extra greys up front, and another grey down her rear. “Mas matalino s’ya kay Kim Kardashian and Alma Moreno or Vivian Velez in her halcyon days.” an admirer gushed. Tito Sotto is set to do a Ramon Revilla to extricare Mark Fernandez from doing jail time. The Senior Revilla was the author of the law that reduced the penalty on gun possession benefitting in the process Robin Padilla. Sotto has filed a Bill copied from a US statute legalizing Marijuana…..and plagiarism. “In her desperate attempt to extricate herself from a legal quagmire of her own doing, it appears that Sen. Leila De Lima is lashing out at everything that moves and attributing blame on everyone but herself,” GMA Lawyer Topacio said in a statement. “It seems that De Lima is going bananas, specifically of the ‘saba’ variety,” Topacio added. Those in the know confirmed Topacio’s suspicion. Since all those linked to her have gone missing: Ronnie, Warren, Jonnel, Tio Paeng, Totoy Mola she turned her nocturnal fancy to the lowly Saba, the preferred variety of Banana Q hawkers. “Matindi pa rin ang halinghing ni Ma’m sa hating gabi kahit Saba lang ang kapiling,” one maid was heard sharing. Reacting to Topacio’s tirade, Leila fired back saying that while in detention at Veterans Hospital, GMA has stocked banana in her fridge, “saba ang order.” de Lima was heard fuming. “I was looking at the skies as I was coming over here. And I… everybody was asleep snoring. A voice said that you know ‘If you don’t stop (inaudible), I will bring this plane down now.’ And I said, who is this? Of course, it’s God. Oh, OK. So, I promised God not to express slang, cuss words,” the President said in Davao upon arrival from Japan. Bong Go reminded him that the plane belongs to Pastor Apollo Quiboloy and it was his voice in the intercom that the President heard.